We are experiencing an increasing number of reports of telephone calls from 0333 and 02895 numbers claiming to be from the Amazon Review Team. The caller then asks for your mobile number to send a verification code. The code then arrives with a link to log-in. Unsurprisingly the link is not to the real Amazon website and the whole scam is just to get your log-in details and access to your account. The fraudsters can then order whatever they like at your expense as well as playing havoc with your personal details. According to Norton 1 in 3 UK adults were victims of cyber-crime last year. 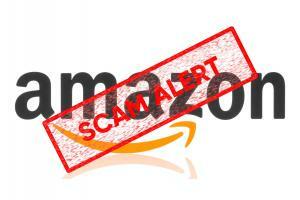 AMAZON WILL NEVER ASK YOU FOR YOUR MOBILE NUMBER, IF SOMEONE DOES END THE CALL! To report a fraud and receive a police crime reference number call Action Fraud on 0300 123 2040 or use their online fraud reporting tool. Reassura is dedicated to helping raise awareness of scams and fraud along with the impact they have on their victims. Reassura’s team of specialist anti-fraud advisors are here to help members make better decisions and avoid falling victim to scams and fraud. If you have found this article helpful please share it on Facebook or Twitter to help others stay safe from scams and fraud.